PEROU – Mocollope - Officials in Chocope, in La Libertad province, announced today the beginning of an ambitious dig project at the archaeological site of Mocollope. The Regional Cultural Board of La Libertad told press that archaeologist Jorge Quijano Roja will be leading the excavation, which will begin on Monday, Sept. 9. 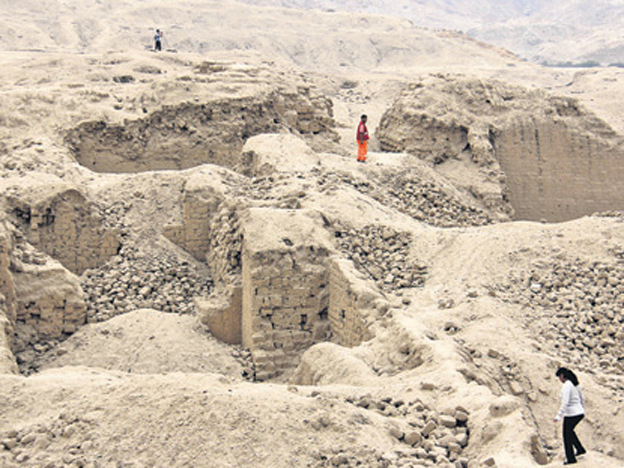 El Comercio reports that the dig will investigate a ruined mud brick city that locals call “la huaca.” The site, according to archaeologists, was originally 12 square kilometers in area. However, damage over the centuries has reduced the site’s size by up to 70%. 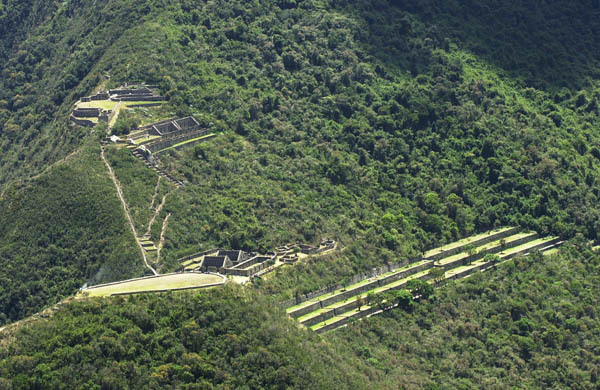 El Comercio writes that Mocollope was an important ceremonial site that would have been occupied by a number of different civilizations including the Cuspinique, Salinar, Gallinazo, Moche, and Chimú societies, from 1300 BC to 850 AD. Renowned archaeologist Régulo Franco, who discovered the Lady of Cao in 2006, served as an evaluator on the site prior to approval being given to dig. Franco told Andina news agency that certain aspects of the ruins indicated to him that there may be an important tomb within the site. One of the dig’s goals in excavating Mocollope is to clarify the architecture and organizational structure of the site in order to get a better idea of the scale and nature of the city. 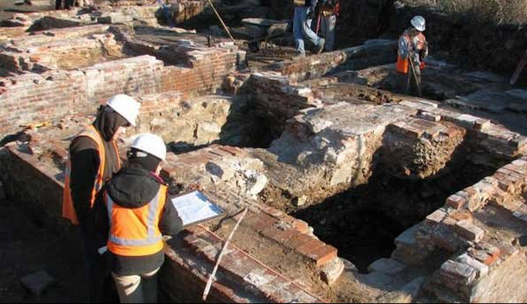 USA – New York- The excavation of this city churns up endless fragments of the past, from pipe stems and pottery shards to bits of stone wall and oyster shell. 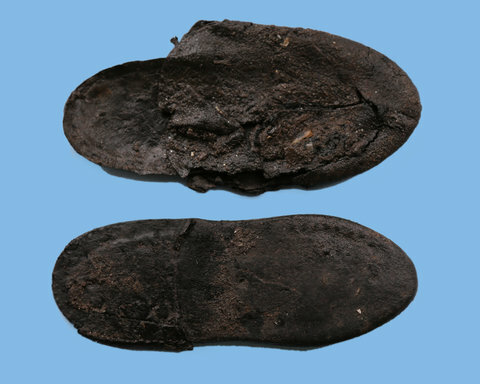 Recently, on the site of a street reconstruction project near South Street Seaport, archaeologists found a pair of late-18th-century leather toddler’s slippers. “They’re in excellent condition given that they were in waterlogged soil for over 200 years,” said Alyssa Loorya of Chrysalis Archaeology, who is leading the investigation. The water kept the moisture in, she said, while the soil “provided the ideal setting for these artifacts — not too acidic, not too corrosive.” One shoe has only the sole remaining. But the other, with a soft, paper-thin upper, is completely intact. USA – Philadelphia - Wynn Philadelphia says artifacts from Dyottville Glass Works may lie beneath two small sections of its proposed 60-acre casino site. But the president of the Philadelphia Archaeological Forum, who led a PennDOT dig that ended at the Wynn property's Beach Street border, believes much larger portions of the site hold artifacts not only from Dyottville, but from Native Americans who lived at the site thousands of years before, and from other industrial uses pre- and post-Dyottville. “This site is, hands down, one of the most important archaeological sites in Philadelphia,” said the Archaeological Forum's Doug Mooney, a senior archaeologist at URS Corp.
ROYAUME UNI – Kents Bank Cavern - A new analysis of bones from a cave in Southern Cumbria has found the earliest human bones known from Northern Britain. Kents Bank Cavern, on the north side of Morecambe Bay, was excavated in the early 1990s and many of the bones found there are now in the Dock Museum, Barrow-in-Furness. Scientists from Liverpool John Moores University (LJMU) and the University of Nottingham have just published the results of an analysis of some of these bones in the Journal of Quaternary Science. This study included a fragment of human leg bone radiocarbon dated to just over 10,000 years old. This is the earliest known human bone from northern Britain, following the retreat of the polar conditions of the last Ice Age. Archaeologist and PhD student Ian Smith from the LJMU School of Natural Science and Psychology, explained why the find is of archaeological interest: “Previous cave burials of humans from around this date have been in southern England, with later dates further north. "However, the date of this human femur is contemporary with the earliest postglacial human bones from caves in the south suggesting similar ritual behaviour in both Cumbrian and Somerset caves at the same time.” “The study also dated bones of elk (a large deer species no longer found in Britain) and horse, showing that they came from a ‘warm snap’ at the end of the last Ice Age, between 12 and 13 thousand years ago. We know that humans were in southern Cumbria at this time as their stone tools have been found – but as yet no human bones have been dated to this time. "Clearly horse and elk would have been good prey for these human hunters, but there is no direct evidence on the Kent’s Bank bones to suggest that they were killed by people." CANADA – Lakeshore - Archaeologists in Lakeshore are puzzled by how 2,000-year-old artifacts from Mexico and the Caribbean ended up in along the banks of the Puce River. The artifacts, including pottery, pipes and arrowheads, were discovered two years ago while Essex was preparing to expand County Road 22. Work has continued on the project, but a team of archaeologists were brought in to excavate the ancient settlement. Tom Bateman, the county engineer, said much of the site dates back to the late woodland era, between 800 and 1000 A.D. However, some older pieces have been found dating back to 1000 B.C. In addition to the artifacts, archaeologists have unearthed the remains of homes, storage areas and fire pits. “It’s certainly been an eye-opener for us,” Bateman said. “It wasn’t just a fishing or hunting camp. Based on the sheer numbers of structure outlines they’ve found, this had some degree of permanency to it.” It also appears to have been a kind of destination or trading post. Archaeologists have found arrowheads that can be traced back to Michigan, as well as artifacts that originated in Mexico and the Caribbean. The dig is expected to wrap up at the end of the month, at which time the county will resume construction. A full report from the archaeological team is forthcoming. PEROU – Choquequirao - The former mountaintop refuge of Incan royalty has elegant halls and plazas much like those of fabled Machu Picchu just 30 miles away. Yet only a handful of tourists visit the ruins each day, those willing to make a two-day hike to reach its majestic solitude. That is about to change: The national government has approved what would be Peru's first aerial tramway. Bridging the deep canyon of the Apurimac River and spanning three miles, it is expected to make Choquequirao (pronounced CHO-kay-keer-ow) reachable in just 15 minutes from the nearest highway.